I’m sitting here reading through some of the suggested proposals and can’t help but think to myself. WTF are all you smokin’? Sorry to rip you guys all up but I feel you have all really missed the point on this one. I personally think we are looking for proposals that improve the blockchain level of this system. We aren’t looking for developing end user services and the such. Those will come after. This train of thought I’m on started after reading BCT the other day. More specifically this post. I think there is some really valuable pieces to be taken away from this video and more importantly this is almost a direct challenge and I don’t think we should back away. This comment is a brilliant exchange between a dev from http://btcsoft.com finding an engaging with our dev’s about an issue he found while looking through the code. After thinking on these two things for a few more beers my mind also wandered back to Krystof Atlas and the code review he did a while back prior to use releasing Darksend. Krystof was engaged to do a full review of the source prior to release. It turned out to be quite a powerful bit of work done to improve things. Ok, ok, get to the point. My point of all this is maybe we are looking too big when we think of these first proposals that we the masternode operators might want to vote on. Do we need more stuff to make it user friendly sure, but wouldn’t you argue that getting full acceptance and support from the Bitcoin core dev’s might go further then that? Perhaps we should take Gavin up on his offer. Perhaps we should use the first 7000 Dash available to fund a simple multi-sig address. Prior to moving the 7000 Dash into that address it should be fully mixed for 8 rounds. We then put out the wallet address to the community and ask for their assistance in cracking the anonymity of Dash (tell us the source address the funds actually came from prior to mixing and ended up in the multi-sig address would win a prize), being able to steal the coins would be another prize. Now this is only about $25,000 in fiat dollars. Might not be enough to entice the real big dogs but at least we could make a marketing push with the contest! We could pivot this idea to simply create a bug bounty program that paid dev’s for finding bugs. I realize this isn’t a solution for everyone but I thought it was worth the post and the discussion. So I was playing around with http://www.cryptopublicnotary.com/ and https://shapeshift.io and realized that I could use both these services to store the Dash white paper on the Bitcoin blockchain for ever. I’m using this version of the White Paper and this is the Bitcoin Address provided by cryptopublicnotary.com. I used shapeshift to send some Dash which was then deposited by Shapeshift into the Bitcoin address provided by Cryptopublicnotary. After this was done my document was locked forever in time on the Blockchain. Shoutout to Alex Sherbuck for all his hard work at Cryptopublicnotary.com. Total cost to save this document for ever on the blockchain. Let’s walk through it. I sent 1.01 Dash from my local wallet to Shapeshift. That cost me 0.01 Dash for the Instantx TX. There was 0.1249369 Bitcoin deposited into the address. Since this server is super awesome it even provides a WIF key for me to extract the BTC after the contract has hit the blockchain. We are talking about the June 2, 2015 Development Update provided by Evan Duffield today. Link is below if you’d like to have a read. 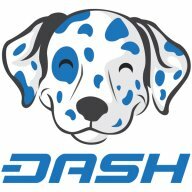 In this post I will attempt to dissect this update and provide a bit of a breakdown as to what it means for the average user of Dash. I hope you’re wearing your learning shirt. Let’s first look at what we are talking about. The stuff in italics is from Evan Duffield. The stuff after is my overview. Please reach out to me on tha twitter if anything needs updating or adjusting. The removal of the reference node – The reference node is something that came about to attempt to normalize the payment distribution of the masternode network. In the early beginning there became an issue of choosing which masternode should be used to sign each block. Since Dash utilizes a unique Two Tier system to extend the ability of the blockchain network. The reference node filled the void during the development of the new masternode consensus system. Was it centralized? Yes. Did it do the job to normalize masternode payment’s throughout the network? Yes. Was it the best solution? No. In my opinion it was a means to an end. We are now at that end so I’ll leave you to judge whether it was worth it or not. A new quorum based masternode payment consensus system. This means masternodes will be elected each block to “vote” on who gets paid. – This is what allows for the removal of the reference node. Now the masternode tier of the network is able to come to a decentralized resolution to the problem of which masternode to pick to sign each block. Here is a quote from the release today, “In the new model, each block a random selection of 10 masternodes are elected to tell the network who should get paid. This is computed using the masternode input hashes for the first payment, then after a last payment is known a valid masternode with the longest wait time is selected.“. Slow down and just think about that for a second. A completely decentralized way to come to a voting consensus? How long have they been working on e-voting in the US? How much money has been spent? I don’t even want to think. Now we have exactly that. Go figure. New budgeting protocol and a whole new list of commands for interacting with the budgeting system – It is so amazing how innovation builds innovation. In this case the need to solve the issue of the reference node lead to the need to develop a decentralized voting system. The development of a decentralized voting system has now lead to the ability for the people running this second tier of the Dash network to democratically be involved in the direction of their tier of the network. This is ground breaking stuff. I’m literally getting goose bumps while I type. At this current point we are sitting at 2650 masternodes. This means we have a caucus of 2650 members each with one vote. Some of the caucus members have already formed into parties. I know of one party named the Moocowmoo party. I know of another party named the Otoh party. There are also a lot of incumbents running for themselves on their own platform. Sorry I forgot which political system I was talking about there for a second. Dash or Governments. At least with our system everything is actually out in the open and publicly immutable. Powerful concept when combined with a finite money supply. Now this whole budgetting thing is going to have it’s own set of hurdles. Just like the reference node this budgeting system might bring on some of it’s own challenges. It’s a similar take to the Neucoin.org model (due to be launched prior to September) but rather then given every coin a vote this model gives the people inside the class direct control over their class. So how is this all going to come together. It requires a hard fork and a few soft forks. Again we don’t mind cause we have the Spork to rely on. A hardfork will be done in conjunction with the release of the 0.12.x of the code. There will be a short update period where both versions of code 0.11.x and 0.12.x will be allowed to run on the network. Once sufficient numbers of masternodes have updated then a series of sporks will be activated to reduce the block reward by 10%. REDUCED BY 10% YOU SCREAM! SCAM!. Let me finish. In order to catch up the emission rate of coin’s and also to creatively fund the project proposals each month will end with a Superblock. This superblock will contain more coins in coinbase then the regular blocks and it will essentially include the missing 10% that stopped being emitted after the spork and before the end of the first month.Ok so we have talked about how the budgeting is going to work but we should also talk about how much money we are talking about budgeting and using for highering block chain contractors (the winners of these proposals). The masternode network operators essentially become stewards of the funds. Voting on which proposals to implement and pay for. The basic breakdown for this if you look at the mining reward of 1 Dash per block is as follows: 45% to the miner, 45% to the masternode for PoS, 10% left behind which will be paid to the Masternode network development budget proposals as voted by the masternodes and funded by the Superblock. So how do we calculate the amount of coins left behind by this 10% not being emitted during the month. I needed some help from Moocowmoo as usual on this one. Updated to Bitcoin v10 with headers first blocks – Keeping up with Bitcoin upstream is what shows we aren’t fsck’ing around. Our dev’s know their stuff and they don’t hesitate to either blaze the trail or merge it upstream. Bring it. New improved masternode broadcast/ping architecture – The faster the second tier can talk and communicate the better they work for the users on the first tier. I don’t know the in’s and out’s of these changes but my gut say’s its making the PoS changes that allow the masternode network to self regulate that all their members are properly behaving is just getting better and more robust. New wallet repair buttons – I hate it when my wallet is broken. So having a fix my wallet button only seems logical. Again not exactly sure what these specific repair functions do yet but I bet you they fix stuff. New website for submitting proposals – Now that the masternode network part of the blockchain can higher contractors and pay them with collected funds it was important to have a website and infrastructure to allow for the submission of proposals. This website works in conjunction with the masternodes budget funds. The funds are put aside so that the blockchain can accept proposals and vote on which ones get implemented and pushed out to the network.